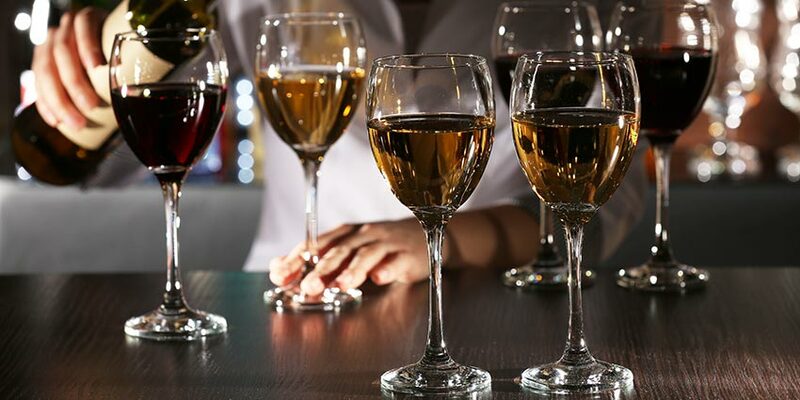 Many of the most popular and celebrated wines enjoyed today are, in fact, made from a blend of several types of grapes. Blending is a technique that winemakers use to control and develop a wine’s flavor, and it requires a deep knowledge of the principles of winemaking and the qualities of grapes in order to be performed successfully. A careful blending process ensures that the flavors play off one another and combine into a harmonious whole that is far more than the sum of its parts. The following wines are among the most famous blends of today. 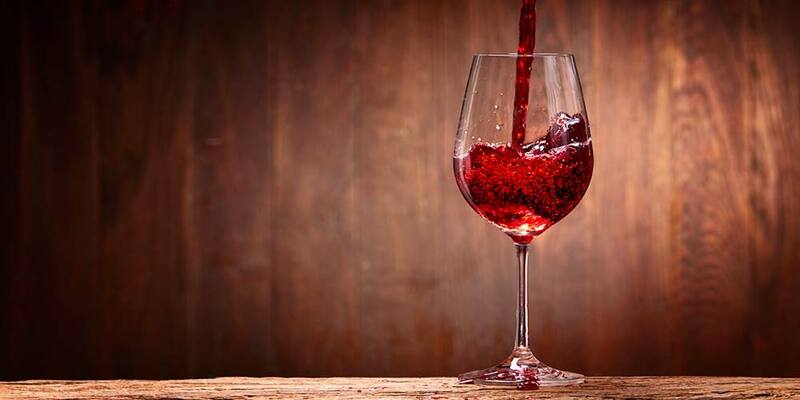 Red Bordeaux wine is a well-known and prized blend from the French Bordeaux region. It is made by combining Cabernet Sauvignon and Merlot in various proportions, depending on the specific winery making the blend. Wineries located on the left bank of the Gironde, which flows through the middle of the Bordeaux region, add a higher proportion of Cabernet Sauvignon. This technique results in a wine that is typically more acidic and contains more tannins. Left Bank Bordeaux ages very well and presents powerful, complex flavors that combine well with the robust taste of roast beef, game or a strong cheese such as Roquefort. On the right bank, wineries will use more Merlot than Cabernet Sauvignon, creating a blend that is softer and needs less time to age. Some winemakers will add other grapes to the basic blend of Cabernet Sauvignon and Merlot. Many would be surprised to learn that this quintessential French wine is, in fact, a blend. The grapes that are used are grown throughout the region and consist of Pinot Noir, Chardonnay and Pinot Meunier. The Pinot Noir contributes fruit, powerful aroma and structure, while the Pinot Meunier produces an intense bouquet. Chardonnay grapes add the delicacy that is the hallmark of a good Champagne. Because the climate and soil of the Champagne region varies immensely, the grapes can end up creating a diverse range of Champagne wines. Champagne can range from sweet to very dry. Typically, this wine can be enjoyed with light fish dishes, cheeses and fruits. Moving on to Italy, the Chianti blend is made in the Chianti region located in Tuscany. It is made with a large proportion of Sangiovese–as much as 90%–which is combined with one or more variety of local red or white grapes such as Canaiolo Nero or Trebbiano. The Tuscany wine region is divided into seven zones, and the ones that are considered to produce the best grapes are Chianti Classico and Chianti Rufini. 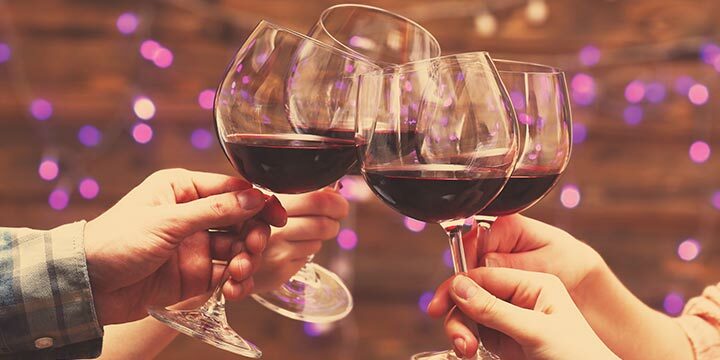 Chianti wine is distinguished by its bold flavors that include a variety of notes, including fruity flavors like plum and cherry, as well as the darker flavors of coffee and almonds. It goes well with strongly seasoned dishes that may include red meat, poultry or pasta. Another popular wine that is widely enjoyed across the world comes from the Rioja region in Spain. The dominant component in this red blend is the Tempranillo grape, which has been cultivated in Spain for over 2,000 years. Other grapes that are added are Garnacha, Mazuelo or Graciano. Rioja wines are strong, tempered with some fruity or floral notes, and they age extremely well. Overall, a good Rioja is comparable to a similar Bordeaux, though far more affordable. This wine comes under varying classifications, based on the selection of grapes and the amount of time it was aged. Like Bordeaux, it is best accompanied by red meat or strong cheeses that can stand up to and complement its powerful flavors. The Priorat region in Spain is home to another sometimes underestimated, but highly interesting, Spanish red wine. The rocky soil of the Priorat hills infuse the grapes with intense flavor and a mineral tang. Because the harsh conditions reduce the amount of vines that can be cultivated, flavors are fresh and concentrated. The regional blend typically includes Garnacha grapes, along with Syrah, Merlot and Cabernet Sauvignon. The intensity of the wine pairs well with highly spiced dishes and hearty flavors. A classic dessert wine, Port consists of a blend of several grapes chosen among Portuguese indigenous varieties. The most popular of these include Touriga Franca and Tinta Barroca, as well as many others, each of which injects a unique note, ultimately resulting in a blend that is redolent with the warm, fruity, rich flavor characteristics of Port. Typical flavors found in Port include raspberry, strawberry, caramel, cinnamon, clove and chocolate. Some Port wines may be drunk fairly young, while others are aged for periods ranging from 4 to 60 years. Meritage blends are Bordeaux-style wines that are created from French varieties of grapes grown in the United States, specifically in the state of California. A red Meritage must consist of a combination chosen from the classic Bordeaux grapes: Cabernet Franc, Carmenère, Malbec, Cabernet Sauvignon, Merlot, St. Macaire, Gros Verdot, Petit Verdot. Meritage blends are versatile and can be enjoyed young, but can also stand up to aging. Like Bordeaux, these blends are complex and powerful, while also offering a smoothness and harmony of flavors. Popular pairings include grilled meat, game or goat cheese. No discussion of famous wine blends is complete without mentioning the classic Côtes du Rhône wine from the Rhône valley in France. Although the region is home to a variety of wines, including white and rosé, the most famous blend is a red combination of Grenache, Syrah and Mourvedre grapes. This wine blend can vary in flavor as well, with wines from the northern part of the region presenting more structured, dryer wines, and those from the south offering brighter, fruitier flavors. Common notes include chocolate, spice and plum. It is robust without being overpowering and can be paired with vegetables, chicken, salmon or pork. Blending wines is a time-honored winemaking technique that has been used for hundreds of years. 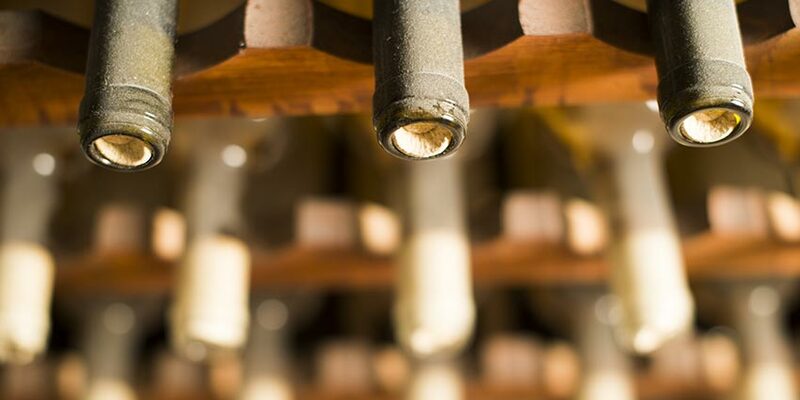 Most people don’t even realize that some of the most well-known wines are actually blends. 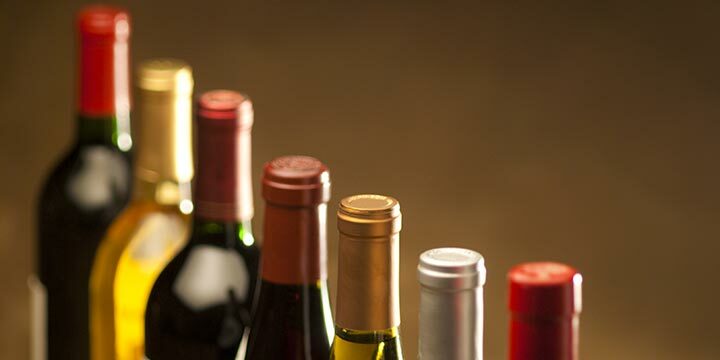 Wine blends enjoy wide popularity due to their versatility and abundance of flavor. Blends range from classic French wines like Bordeaux to the relatively new Meritage of the New World. Using several varieties of grapes allows winemakers to fine-tune flavors and create complex symphonies of taste, with each grape bringing its unique qualities.